The soaps industry on Friday (7 June) launched a campaign to get Europeans to use a 30ºC washing cycle, saying just a 3º heat drop in a few countries would save enough energy to power the Italian city of Parma for a year. The European Association for Soaps, Detergents and Maintenance Products (AISE), launched the initiative, “I prefer 30”, in Milan to raise awareness of the unnecessary waste caused by a higher heat laundry cycle. The group estimates that a 3º drop in the five participating countries – Belgium, Denmark, France, Italy and Britain – would save some 1300 GWH of energy, roughly the same as the electricity consumption of a city of more than 180,000 people, such as Parma. 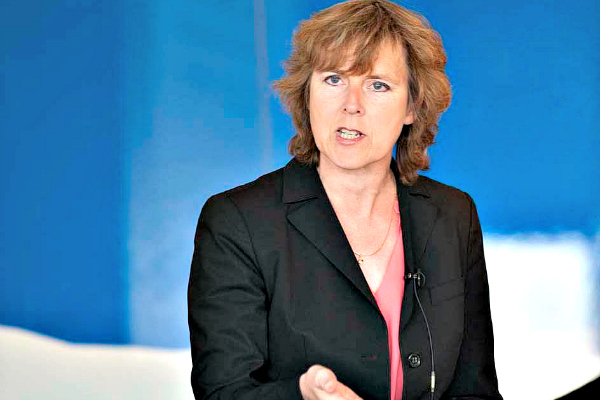 Climate Commissioner Connie Hedegaard attended the launch of the initiative, which is in line with the Commission’s “World you like” green living campaign. “This is an example of partnership at its best and is fully in the spirit of the Commission's aim to encourage multi-stakeholder action in the fight against climate change. If we all make small changes to our daily habits, together we can make a big difference. Let's work together for a better climate – one machine wash at a time." The launch opens the initiative to appliance and fashion manufacturers and retailers, government bodies, NGOs and other businesses. Attendees included the Italian fashion retailer Gucci, British supermarket chain Marks & Spencer and the Swedish appliance-maker Electrolux. AISE will supply the participating organisations with a kit to create their own communication strategy using the same “I prefer 30” logo, with advertisements appearing in shops and on websites between January and September 2014. The campaign will include print advertisements, leaflets, a campaign website, and web banners in the participating countries. Mooted ideas include text boxes on detergents or fashion lines using the logo, such as T-shirts, one of the organisers told EURACTIV. To members of the industry, modern detergents are well-equipped to wash at low temperatures, cutting heating and water bills as well as protecting fabrics. European households wash on average 3.2 times per week with an average temperature of 41ºC, according to an AISE survey of 5,249 Europeans. The European Commission launched its “World you like” awareness campaign in October 2012 in a bid to meet the EU’s 2050 target of an 80-95% reduction in greenhouse gas emissions. According to Commission research, the EU could reduce its emissions by 8 to9% by 2020 if European households changed their transport and dietary habits. By end 2013: Organisations sign up for campaign and receive "toolbox" to create their own low heat washing campaign. January - September 2014: Campaign hits shops and government and NGO websites. Just stop regulating every piece of my life and let me live freely. EUSSR, where, exactly, are you being forced to use 30 degrees for your clothes washing? You are not, so in what way are you being ‘regulated’? It is a recommendation. If you are happy to continue wasting money unnecessarily, well that is a matter for you I suppose. PARMA, representing 0.3 % of the EU population, in a part of EU where relatively little heating is needed. Really !! It will probably delay us reaching the +2 degree limit by several seconds.